"Buy the right home at the right price"
"Sell your home fast for the best possible price"
Jeffrey Masich is a "Multi Million Dollar Producer" with HomeSmart, the #1 largest real estate broker in the state of Arizona. As a Diamond Club award winner, Jeff was honored in 2018 as one of HomeSmart's "Top 15" agents. Jeff loves Arizona and helping people achieve their dreams whether it is selling their home or land and/or moving on to the next adventure or buying another home or land. As an Arizona resident beginning in 1971 and McCormick Ranch in Scottsdale since 1986, Jeff knows Arizona. Besides the desire to help people, Jeff Masich is a licensed Real Estate Agent in Arizona, Realtor®, Graduate of the Realtor Institute (GRI), Certified Short Sale Negotiator (CSSN) and has a business background with an MBA and a BS in Accounting that helps Jeff meet the challenges of finances and negotiating price and terms for his clients. Jeff is a business person with years working for Fortune 500 Companies, Technolgy Companies and 'Non Profits' as an Officer, Director, or Board Member. Jeff has been involved with contracts, secured lending, credit and negotiations his entire business life. Thank you Jeff, we are the one's that can never repay your kind heart, your hard work and your expertise with getting the house sold so quickly. May God forever bless you and Adriana. Thank you a million times. Jeff, Thank you so much for finding me the perfect home! I fell like I won the lottery! You are the best Realtor ever! Jeff is a true professional in that he does what he says he's going to do and make sure that he listens to his clients request. My wife and myself were 100% satisfied with the service and attention Jeff provide us and he will be our first choice should we ever need to sell or buy in the future. Jeff is by far the best Realtor I have ever worked with. He is very knowledgeable of the Phoenix market and provided valuable insight and advice throughout the entire purchase process. Jeff is very professional, and a man of integrity and moral standards. I would recommend him to anyone looking to buy or sell a home. Jeff was so helpful and reliable when we were looking for a rental house, we have used him on two separate occasions and plan on having him as out agent when we buy a home. He is great! I was referred to Jeff through a family member. We had interviewed several realtors, but were moved to hire Jeff because of the good impression he made, and the services offered by HomeSmart. This proved to be an excellent decision. Our home sold very quickly, and Jeff was extremely professional in every aspect of the transaction. I would recommend his services without hesitation. 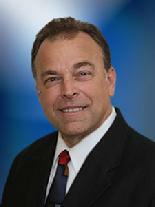 Jeff Masich has been a friend since 1986 as well as a real estate agent for a recent listing. I highly recommend Jeff to represent you for your real estate transactions. Jeff is truly competent and trustworthy. He is a professional that understands the complexities of this profession. His high ethics serves him well, and I knew that he would be there for the many concerns and questions that would arise during this transaction. Jeff's integrity and knowledge of the market is evident, and he kept me informed on a regular basis. I will continue to work with Jeff Masich on any further real estate projects.....I trust him completely. Jeff, is an excellent Realtor. He is honest, good listener and loyal. He is always willing to help and answer all your questions. I uses his services all the time. Jeff was a delight to work with! He went above and beyond for me and a family member. He has the client's best interest in mind and will persevere until all parties are satisfied. I recommend Jeff to anyone seeking a proactive real estate agent. Jeff was a very thoughtful Agent and spent a great deal of time with me working thru the process of buying a home. Each prospective contract was reviewed and the home thoroughly considered as we went thru the process. We must of submitted 15 bids until the final one was accepted and he spent a great deal of time with me on each one, counseling me and adding solutions to the process. Jeff was there when we needed him. He was on top of everything at all times. Purchasing a short sale never seems to go smoothly. But when you have the right agent it all seems to come together. We would both highly recommend him to anyone looking for that "right" match in a Realtor. His knowledge of the Valley was very entertaining as well. We were truly blessed with having an amazing experience hiring Jeff as our realtor. Before meeting Jeff, we had an exhaustive extensive search trying to find the right realtor to lease our home. After hiring Jeff, he immediately sought out to accomplish the task in leasing our home. We continued through out the leasing process to be pleased with his dedicated and hard work as our leasing realtor. He has a great deal of in depth knowledge of the real estate market. This capability proved to be crucial in completing a positive real estate experience. Jeff has demonstrated in every way has a high degree of professional: knowledgeable, responsive to our needs, patient, honest, courteous, committed, and able to get things done. Jeff is ethical, honest and a sincere friend. He keeps long term relationships because of his excellent attitude. Jeff provides legendary customer service, the kind of unique and genuine sort of personal care and attention that clients tell stories about! Thank you Jeff for your help. Jeff is the most attentive, professional, knowledgeable, and caring real estate agent I have ever worked with. There are many more superlatives I could use to describe him, but the one thing I felt throughout my buying experience with Jeff, I was his most important client. I could not recommend him more highly! !